Besides the heated Big Meditation Room (120 m²), and Tao (300 m² plus gallery), we have the Summer Hall (800 m²), the Riding Hall (800 m²), and the Barn (500 m²). 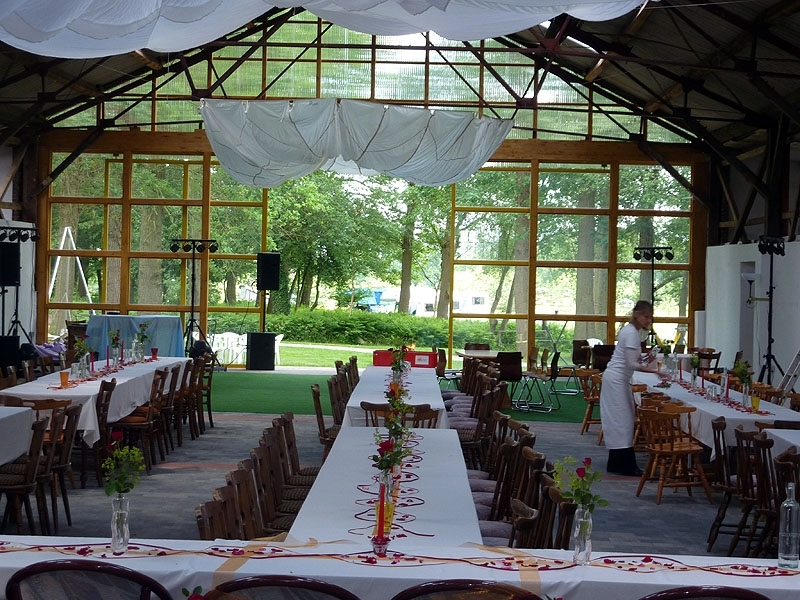 Depending on the size of the event, these areas can be used for workshops or for dining. There is also plenty of space outside which can be used for eating areas or simply meeting. 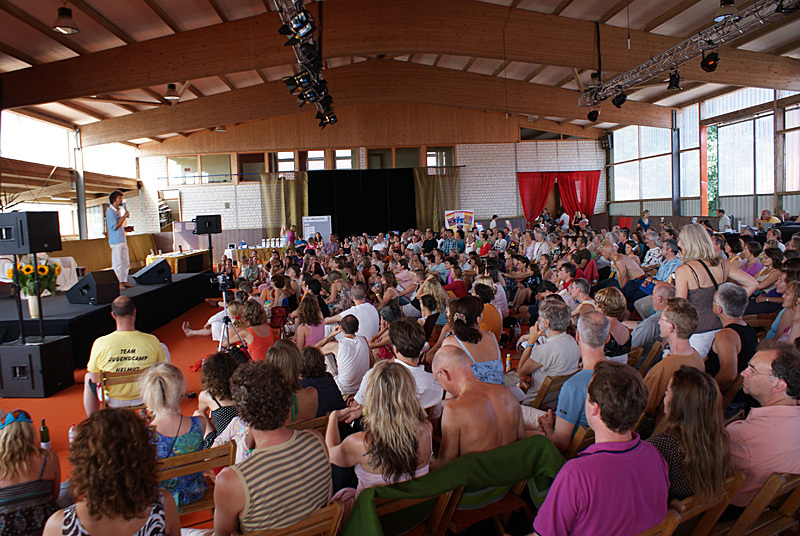 With these facilities, we have already welcomed here: Thomas Hübl (Celebrate Life Festival) Thich Naht Hahn, Sogyal Rimpoche, Shantimayi, and Akong Rimpoche. We are experienced in hosting up to 800 on a daily basis and over 1000 divided over 9 days. 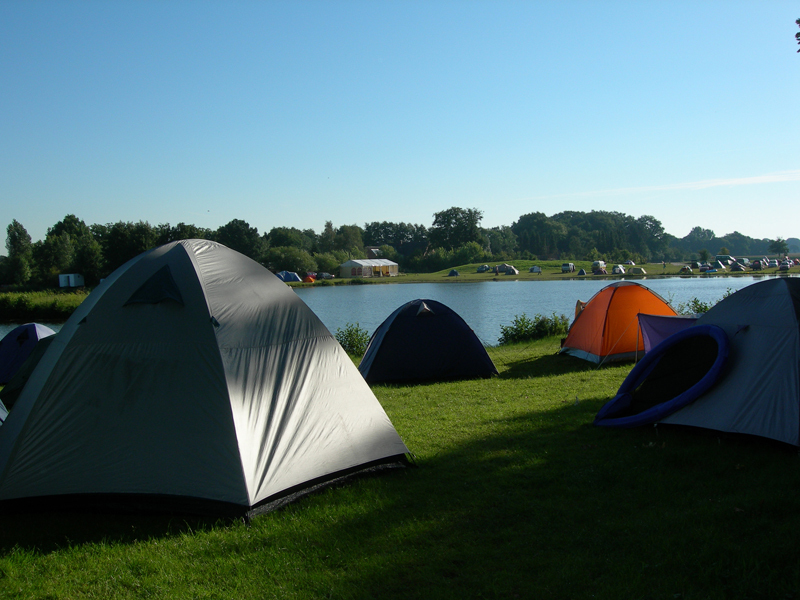 On our apple meadow and all around our lake ( altogether about 700 metres) there is plenty of space for tents, as well as some special sites for caravans and camper vans. There is also a big field which can be used as a parking lot. Altogether we can host up to 600 people in tents and caravans. For our campers, we have various washrooms available in different buildings and we can bring in extra toilet trailers when needed. There are showers at the lake, in the Riding Hall, in the former horse stalls, and in the main house. We have beds for 95 people in the guest rooms, and can accommodate 45 more in dormitories which we set up in the seminar rooms (depending on need). In addition to our own beds, there are around 200 more available in the nearby area in private homes, bed and breakfasts, and hotels. There are even more possibilities for accommodation in the city of Oldenburg, which is just 8 km away.